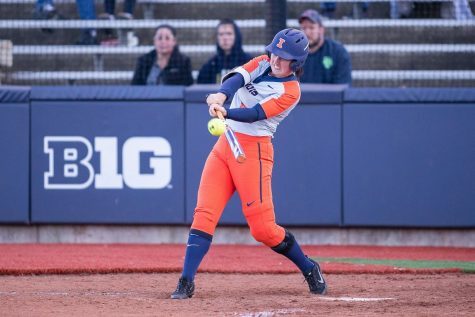 Illini semester in review: What just happened? This semester, the University of Illinois athletic department has reminded me of a quintessential junior-high-lunch-room food fight. It started with one kid tattling on the school bully for using his spoon to catapult diced pineapple across the lunchroom. The next day, the mean, little freckle-faced-friend of the bully launched a PB and J sandwich in retaliation — war had officially been waged. There goes a cupcake, now some ketchup — and hey, was that a slice of watermelon? Kids are getting suspended left and right. I even heard that little ‘ole Jimmy got expelled for giving Bobby a swirly in the girls’ bathroom. OK, maybe that analogy only worked for me. But seriously, what in the Sam Hill happened in Champaign this semester? Fantastic question, my friend. So let’s break it down — from the PB and J sandwich that flew through the air to the ketchup smeared all over Joey’s face. Some in the media liked to frame Beckman as a bumbling fool — but ask any member of the Champaign sports media, and I promise you that they’ll tell you that they loved his press conferences. From explaining the meaning of the word “OSKEE” to talking about his wife’s lasagna, his pressers were always entertaining. What actually happened? Some of what happened, like excessive name-calling and cussing, wasn’t much different than what happens in many other college football programs across the country. Other allegations were inexcusable — like forcing players to play through injury. Those kind of trangressions were cause for termination. What did it mean for the players? I think the players handled this season extremely well. The troops rallied around Bill Cubit and actually played pretty good football this year. Sure, the 5-7 record wasn’t glamorous. But the team managed to look competitive in every game except the road losses to North Carolina and Penn State. There’s a chance that Cubit could be the kind of guy you want coaching your football team. Players love playing for him, he was out on the quad each week shaking hands with students and he seems to truly love this University. That being said, this deal left me scratching my big melonhead. Why did Illinois rush to make a deal before the biggest game of their season? Why didn’t they show patience and allow time to evaluate this guy? Not to mention giving him two years? That’s taboo for a college football coach’s contract. It’s also problematic considering he was one of Beckman’s guys — did Cubit really not know what was going on in regards to the mistreatment of players? The report says he’s clean, but I don’t know how convincing it is. 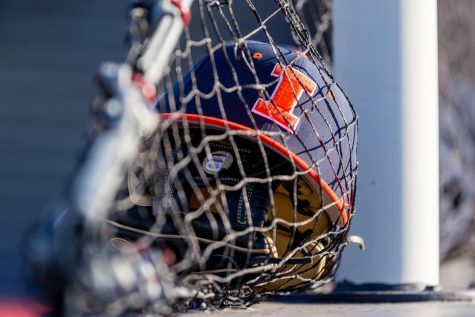 Interim AD Paul Kowalczyk said the deal wasn’t “a knife to the heart of the program.” So that’s really the standard everyone’s going by now at the U of I? Sure, a knife to the leg or perhaps the arm is fine, as long as it’s not the heart! I loved this move — and not just because I got the opportunity to meet and interview one of my childhood heroes. Brown is perfect for this job. I couldn’t possibly think of a better salesmen for the University than the Prince of Champaign himself. He is going to thrive in this made-up role — he’ll bolster recruiting and make the donations start rolling in, too. Kudos to Illinois on this one. This was inevitable. He had absolutely no chance of surviving the allegations that were swirling around a number of his programs. It worked out well for me too — I’m first in line for his job. The State Farm Center has a new look. The University dropped nearly $170 million on this project. That’s more than I make in a week. The pretty penny they paid on the makeover appears to be worth it. The nasty gray seats are gone and have been replaced with shiny blue and orange seats. The 1,200 court side seats for Orange Crush give the Illini an even better home court advantage. They also dedicated the court to Illini coaching legend Lou Henson — it was a classy move, and much deserved for the greatest coach in the program’s history. The Illini basketball team has been bad. Illini basketball head coach John Groce has been dealt a tough hand this season. If this was a game of Texas Hold ‘em — Groce was dealt seven-two-off-suit. I would say the news of star big man Mike Thorne Jr. tearing his meniscus was analogous to the straw that broke the camel’s back. Except it wasn’t a straw — it was more like a Miley Cyrus wrecking ball that came crashing into the metaphorical Illini camel. OK, perhaps that was a bit hyperbolic, but you get the point. 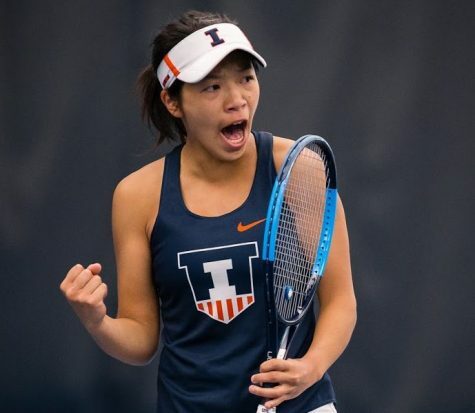 Injuries have plauged the Illini this season. 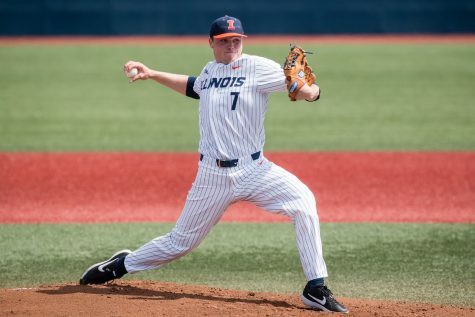 With embarrassing early-season losses to Chattanooga and Northern Florida, Illinois needs to turn things around quickly. Thankfully, its last five non-conference games are all winnable. 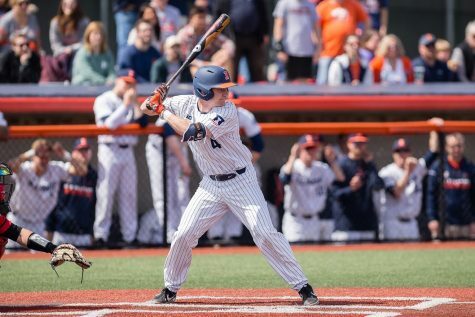 This stretch gives the Illini a chance to boost team morale before heading into the always-difficult Big Ten schedule. Finally, I’d like to thank each of you for reading my silly columns this semester. I hope that you enjoyed reading them because I can promise you that I loved writing them. Continue to send me emails, tweets, notes from carrier pigeons and the like — I always love hearing your feedback. As many of you know, I’m a bit of a Marxist — Groucho, not Karl, of course. So I’ll close by adjusting his famous quote as it applies to my column. Kevin is a sophomore in Media.